India, in South Asia, is the second most populous country in the world, after China. It is also one of the largest democracies in the world. There are over 122 languages spoken in India of which 22 languages are listed in the Indian Constitution as official languages. India is such a culturally rich and diverse country that languages and dialects change every 100 kilometres. It is surrounded by the Indian Ocean on the south, the Bay of Bengal on the south-eastern, and the Arabian Sea in the southwest direction. It shares its land borders with Bangladesh, Myanmar (formerly called Burma) to the east, Pakistan in the west, along with Nepal, Bhutan, and China in the northeast direction. Looking for cheap flights to India? Look no further. NanakFlights is a Canadian travel agency based in Brampton, Ontario that focuses on providing the very best flight deals and service to consumers looking for budget-friendly travel to India. We have negotiated the best deals with all major Airlines to offer great savings on flights to India. We are rated 4.5/5 by our customers based on 1202 Google reviews. Check our Google reviews from thousands of our satisfied customers who have purchased cheap India flights from us. Popular Airlines: Air Canada, Oman Air, Kuwait Airways, Emirates, Etihad airways, British Airways, Gulf airways, Delta airline, KLM, Air France, Alitalia, Jet airways, Lufthansa, Saudia airline, China Eastern, China Southern, China airline, Air China, Wow Air, Ukraine International, Austrian, Swiss airline. Baggage, evisa, and frequently asked questions on India travel: If you are a Canadian passport holder, you need a visa for travelling to India. Please refer to our detailed section on regular visa, evisa, baggage and other commonly asked questions on India travel. . Following is the list of our top flight routes to India. 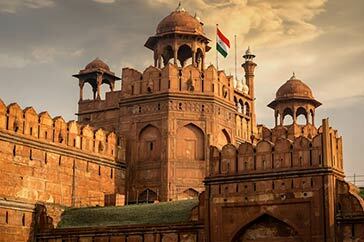 Cheap flights from Toronto (YYZ), Canada to Delhi (DEL), India departing May 15, 2019, returning May 25, 2019. Book now. Fares are subject to availability. We update our seat sale fares regularly. Please check our web site for most up to date seat sale fares. Cheap flights from Toronto (YYZ), Canada to Kochi (COK), India departing May 04, 2019, returning May 18, 2019. Book now. Fares are subject to availability. Cheap flights from Toronto (YYZ), Canada to Mumbai (BOM), India departing May 13, 2019, returning May 28, 2019. Book now. Fares are subject to availability. 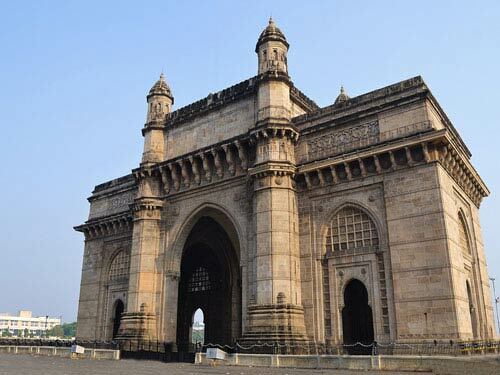 Cheap flights from Calgary (YYC), Canada to Mumbai (BOM), India departing May 05, 2019, returning May 26, 2019. Book now. Fares are subject to availability. 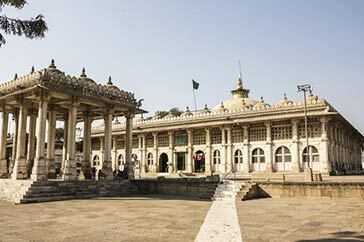 Cheap flights from Montreal (YUL), Canada to Ahmedabad (AMD), India departing May 05, 2019, returning May 24, 2019. Book now. Fares are subject to availability. 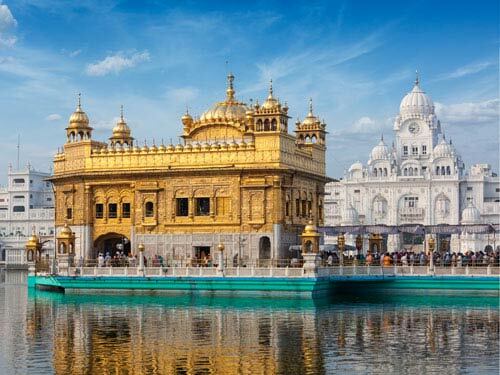 Cheap flights from Vancouver (YVR), Canada to Delhi (DEL), India departing May 03, 2019, returning May 21, 2019. Fares are subject to availability. Most popular flights from Canada to India. Air Canada's non-stop flights to Delhi and Mumbai are the most popular flights to India among travellers. Air Canada operates flight number 42 from Toronto to Delhi and flight number 43 from Delhi to Toronto 7 days a week. Air Canada operates flight number 46 from Toronto to Mumbai and flight number 47 from Mumbai to Toronto 3 days per week during winter schedule. Air Canada's Premium economy cabin is the most popular cabin. It is a separate cabin and travellers get extra recliner seating, food menu and get to use a Business class washroom. Jet Airways is a very popular flight to India as it has one stop in Amsterdam and travellers do not have to go through security check at Amsterdam. After you arrive in Amsterdam, you can wait in the lounge area which is very close to the airplane. There is enough seating area, vending machines and coffee shops in Amsterdam for your refreshments. Jet Airways is also gaining popularity among Baroda customers as they offer the best connection for Baroda. Lufthansa, Austrian, Swiss, and Brussels airlines are also popular as travellers can use any of the European hubs of Munich/Frankfurt/Vienna/Zurich/Brussels to reach their final destination in India. You can also combine Air Canada's non-stop flight in any direction with any of their Joint venture partners (LH/UA/OS/SN/LX/UA) with one-stop via Europe in the other direction. KLM, Air France, Delta, and Alitalia airlines are also popular as travellers can use the European hubs of Amsterdam/Paris/Rome or via the US on Delta airline to reach the final destination in India. You can also combine any Delta Joint venture partner in any direction with any of their other partners in the other direction. China Eastern, China Southern, Air China, and China airline are especially popular from Western Canadian cities of Vancouver, Calgary and Edmonton due to their very low pricing structure. Some of their seat sale fares start from C$ 700, including taxes, to India. Emirates airline is also popular for travel to India. Emirates operates a double-decker four-engine Airbus from Toronto to Dubai. Emirates is now flying 5 times every week to India. Many South Indian and Gujarati travellers prefer Emirates airline as baggage and custom are at the final destination in India. Air India is popular specifically for Gujarati travellers via London to Ahmedabad as Immigration and baggage collection is at the final destination in India. Oman Air and Kuwait Airways are getting popular for their low prices even though these airlines offer 2 stops via Europe and the Middle East. If you are travelling with your family, you can save a few hundred dollars by using Oman Air and Kuwait Airways. Wow Air is the new entrant for India market. They will be operating their first flight to Delhi on December 05, 2018. They have introduced ultra-low fares to Delhi. Wow Air only offers 1 piece of 20 Kg checked in baggage and one 12 Kg carry on baggage. You also have to purchase meals on the flight. Turkish and Etihad Airways are also popular due to their one stop flights through Istanbul and Abu Dhabi hubs. Etihad airline is now flying 5 times every week to India. Etihad has got the best connection to Bangalore via Abu Dhabi. Qatar Airways is very popular among Punjabi travellers as they prefer to reach Amritsar, where customs and immigration take far less time than other Indian airports. Qatar Airways is also popular among Gujarati travellers as baggage and custom are at Ahmedabad in India. British Airways uses its London hub to connect to different cities in India. British Airways also offers its Premium Economy cabin which is very popular due to its reasonable pricing. Why Book your Cheap Flights to India with NanakFlights? We are India travel specialists. Book your cheap flight tickets to India with confidence. 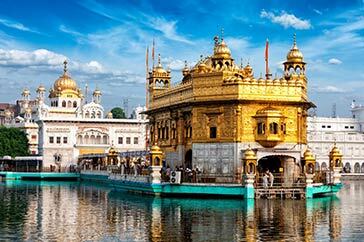 We have partnered with all major airlines flying to India to offer you the best flight deals. $20 Senior citizen discount on all flights to India. $10 gas card reward per passenger on all flights to India. Multi-lingual staff to cater to all ethnicities for the India market. Best price guarantee on flights to India. Dedicated schedule change team to advise you of any changes in your flight timings. IATA & TICO accredited. Book your flights to India with confidence. No service fee on published and ex India fares. Discounted airfares to India on more than 30 Airlines. India is easily distinguishable on the map by virtue of its unique peninsular shape. The country is known for its large diversity and rich culture. India is also very geographically blessed and hosts a large number of naturally spectacular sceneries. Your trip to India is bound to be full of adventures given the numerous places that are a must-visit. India is land of an array of languages, rituals, customs and traditions making it the largest democracy in the world. This country also has an economy that is the sixth largest in the world by nominal GDP. The country is home to a diverse terrain that ranges from the famous Himalayan mountain to the expansive Indian Ocean coastline. It has a very rich history which is evident in the many historical towns present in the mainland. Do you know the top 10 most busiest airports in India? Refer to the complete list of busiest airports in India. 1. Delhi is the most busiest airport in India and handles more than 950 flights every day. 2. 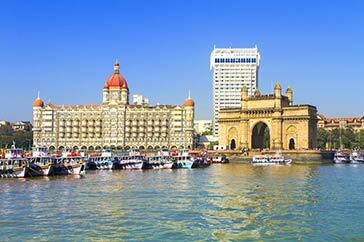 Mumbai is the second busiest airport in India and handles an average 800 flights every day. 3. Kempegowda International airport Bengaluru (BLR) is the third busiest airport in India by passenger traffic. 4. Chennai International airport (MAA) is the fourth busiest airport in India. 5. Netaji Subhas Chandra Bose International airport Kolkata (CCU) is the fifth busiest airport in India. 6. Rajiv Gandhi International airport Hyderabad (HYD) is the sixth busiest airport in India by passenger traffic. 7. Cochin International airport Kochi (COK) is the seventh busiest airport. 8. Sardar Vallabhbhai Patel International Airport Ahmedabad (AMD) is the eight busiest airport. 9. Pune International airport (PNQ) is the ninth busiest airport in India by passenger traffic. 10. Goa International airport (GOA) is the tenth busiest airport in India. India experiences different climatic conditions in different areas of the country. Hence, it is best to schedule your travelling based on the weather of the place you intend to visit. The peak season in India is during the months of June, July and December. During this time, schools are shut due to either the summer holidays or the Christmas and New Year holidays. The most popular time of visit for foreigners is during the warmer months of May and June. The most ideal time to visit India is between the months of January and April, September and October. The crowds during this time are relatively less and travelling around different places is more convenient. Additionally, these periods experience transitional climates between seasons. It is advisable to book your tickets at least two or three months in advance. Choosing a mid-week day for travel would be most ideal. In order to arrive at the various locations in the country, air travel is the ideal option. India has over 132 fully functioning airports that host a number of domestic as well as international flights. Depending on the places you choose to visit within India, you have multiple options for transport. 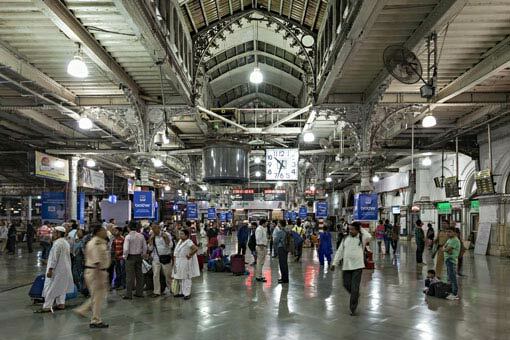 India’s railway system is undoubtedly one of the busiest and most expansive networks in the world. There are a large number of trains that connect to different towns and cities around the country. Local trains and trams are also a well-used choice for travelling in some cities. Within cities and towns, you may choose to travel by the state-sponsored bus systems that ferry between many spots around the area. This option is quite confusing and unreliable given the huge number of passengers that depend on it daily. Taxi cabs and Auto Rickshaws (Tuk-Tuks) are convenient and affordable options for a hassle-free ride around the city. From left to right in the first row are Red Fort in Delhi and Gateway Of India in Mumbai, Maharashtra. From left to right in the second row are Taj Mahal in Agra, UP and Golden Temple in Amritsar, Punjab. India, being such a diverse nation, can never fall short of breath-taking places to visit. Regardless, here are a few of the must-see destinations in the country. Kashmir is a fantastic option if you would love to explore the untouched natural beauty of this mainland. It has also been nicknamed ‘Heaven on Earth’. Further down south you will find the mesmerizing Leh-Ladakh that is bound to captivate you with its snow-capped mountains, crystal clear glacial lakes and serene Buddhist Monasteries. 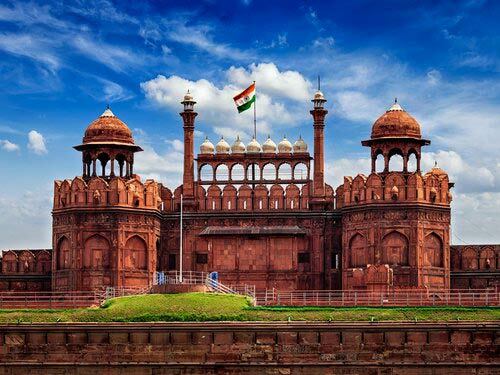 Delhi and Agra are two places that will leave you enthralled by the rich history of the Mughal era that is well-showcased by the architecture in these cities. Rajasthan is the desert state of India that is known to leave all visitors spellbound. Do pay a visit to this beautiful state for its Rajputana grandeur and aesthetically pleasing locales. An experience that cannot be missed is a visit to the great stretch of white sea salt called theRann of Kutch during the famous yearly festival of RannUtsav. Kerala is a state in the southern part of India that tourists flock to for its hypnotic charm and relaxed vibe. Goa is another small state that is known to be the hub of great Portuguese architecture and the best parties in India. Depending on the place you choose to visit, the options for hotels and resorts vary as well. Within most cities, you will find plenty of options for both inexpensive and luxurious accommodations. If you choose to visit Rajasthan, the Umaid Bhawan Palace, Taj Lake Palace and The OberoiRajvilas are excellent luxury options to indulge in true Rajputana heritage and splendour. Delhi has numerous options for high-end resorts as well as budget lodging as well. The rates of your stay will depend on the proximity it has to the city centre or to certain famous tourist spots. 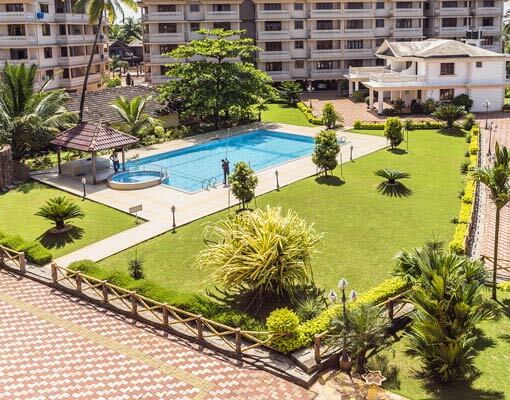 In Goa or even other southern coastal towns, the best accommodations can be found by the beach side. You will tend to find more expensive options by the most commercial beaches. For a relaxed vibe, you will find many budget options near lesser frequented beaches. Kerala has a unique stay option in the form of both tree and boat houses. A stay in one of these is an experience that cannot be missed. Regardless, it is most advisable to ensure that you book your stay way in advance to avail good accommodation at the best rates. The geographic locations of the various states in the country is an essential factor in determining the climatic conditions. The climate in India is very diverse given the diversity in its terrain. The mainland primarily experience major seasons, namely, summer, winter and monsoon. 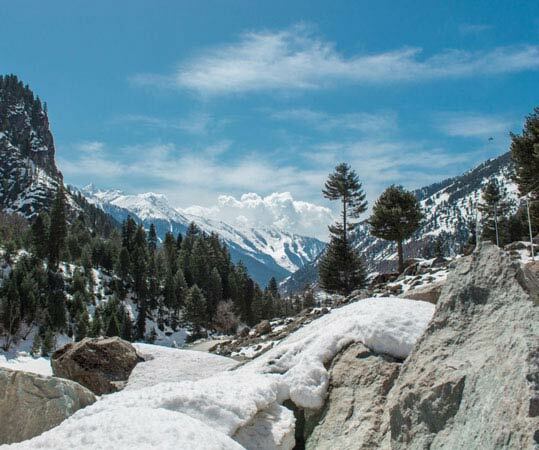 The northern and eastern parts such as Kashmir, Himachal Pradesh, and the regions near the Himalayan mountains experience cold and chilly climate for most parts of the year. These areas also experience snowfall during the winter season. The western part of India experiences predominantly hot and dry weather due to the placement of the Thar desert in Rajasthan. The winters can become chilly in these regions. 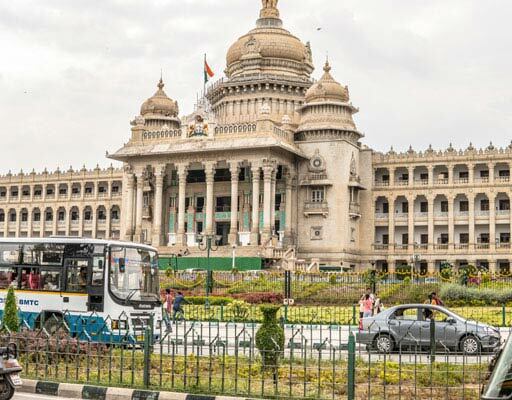 Most of southern India experiences a moderately hot climate. The summers are hot and winters are relatively cooler. The tropical areas or Ghat regions experience heavy rainfall as well as humid weather. We offer the Cheapest tickets to India on all major airlines. We also offer the lowest fare guarantee on India flights. If you find a lower price on any of the competitor's website, we will beat it. Some conditions apply. The fare must be on the identical flights and for the same dates and routing. We also reward our customers by giving a C$10 gas card for every ticket purchased on the website or through our call center. India with its age-old history and rich heritage has some of the most delicious and mouth-watering food options around the world. Most people in India, especially, Northern India are vegetarians. Hence, the number of options for vegetarian foods are plenty. The best vegetarian meal in India would consist of a few options of mixed vegetable curries, a lentil soup, rotis and white rice. This simple yet satisfying meal is savoured by everyone, till the very last bite. India also has a considerable population of meat-eaters and the best meat dishes can be found in Delhi, Lucknow, Kerala and Andhra Pradesh. The meat dishes are usually cooked in a tandoor and are doused with spicy or creamy sauces that elevate the flavour to another level. The street food options in India are limitless. Almost every town and city in the country will have a number of street food vendors and a larger number of people flocking to these sellers for a quick, delicious snack. The number of options for street food is also varied. 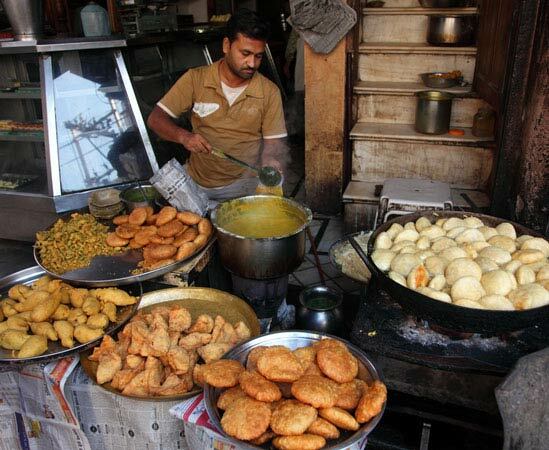 Dishes like Golgappas, PavBhaji and Kebabs are crowd favourites. The seafood options are also plenty in the coastal towns. The produce is prepared fresh and the style of cooking the meat is different in every part of the country. We offer price drop guarantee up to CAD 100 per ticket as a future travel credit on all airline tickets sold to India. Book your flights to India with confidence. You can use our in-house online booking tool to book the airfares to India or by calling our call center to book unpublished low fares to India. 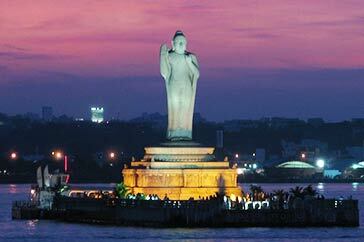 Find below our FAQ (Frequently asked questions) list for travel to India. You can also call us toll-free 1-855-722-9977 or locally at 905-456-9977 to speak to our experienced staff who will assist you with your customer support queries. I am a Canadian citizen. Do I need visa to travel to India? Find below our FAQ (Frequently asked questions) regarding visa requirements to India. All Canadians require a visa to visit India. You can either apply for an evisa which is an online visa application process or apply for a tourist visa through a local BLS India visa office . Please note that an evisa is a short term visa and if you plan to stay more than 2 months in India, you should apply for a 6 months visa. Indian passport holders or PR card holder do not require a visa to enter India. Your Indian passport must be valid for 6 months and your PR card must be valid for re-entry in Canada. Indian passport or PR card holder can only transit via the USA to India if they are holding a valid US visa. If you are holding a student visa with your Indian passport, you can only transit through the United Kingdom to India if the student visa is stamped on the passport. PR card holders cannot have 2 transit stops in Europe while travelling to India. You require a Schengen visa if you want to travel to India with 2 transit stops in Europe. How many bags I can carry on my flight to India? Most of the airlines flying to India allows 2 pieces of check-in luggage and 1 piece of carry on baggage. For most updated information on baggage, please refer to our baggage information page . Can I buy an open air ticket to India? No, you cannot purchase an open ticket these days. 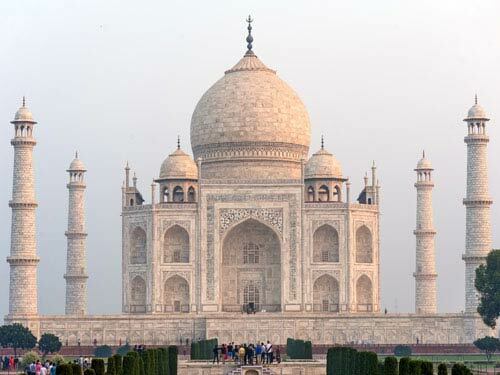 You can buy a roundtrip ticket to India and can change the departure or return date with a fee. Can I buy a roundtrip flight to India with one free date change for my return date? No, Most of the airlines will charge a change penalty and fare difference for changing the dates. Jet airways allows one free date change but fare difference will apply for the return date. Can I reserve my seats without any fee on the same day of ticket purchase? Airlines charge a fee if you want to reserve your seats in advance. You will get free seats within 24 hrs of the departure of your flight. You can reserve your seat at the time of printing your boarding pass. Can I change or cancel my tickets to India without penalty if I have travel insurance? Many consumers have a myth that if they purchase travel insurance for their airline tickets, they can get free changes or can get a full refund on their tickets without any fee. This is not true. Travel insurance only protects you in case of any medical emergency, flight delays, lost baggage, delay in getting baggage on your arrival. If you get sick and get a medical note from the Doctor, you will get a 100% refund on your airline tickets from the insurance company. How many total hours does it take from Canada to India? The fastest flight to reach India is Air Canada's non-stop flight. Air Canada takes 13h:50m to fly from Toronto to Delhi. Air Canada is the only airline operating non-stop flights to Delhi and Mumbai. All other airlines either connect through the USA or Europe or Middle-East or Asia to reach India. 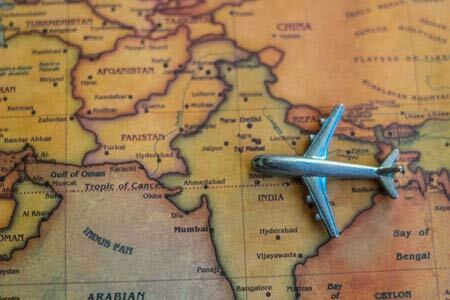 What are the cheapest airlines I can fly for my domestic flights in India? We are RATED 4.5/5 by 1202 Google reviews for a reason. Book your Flights to India with confidence with us.